What is the Cannondale Superslice? 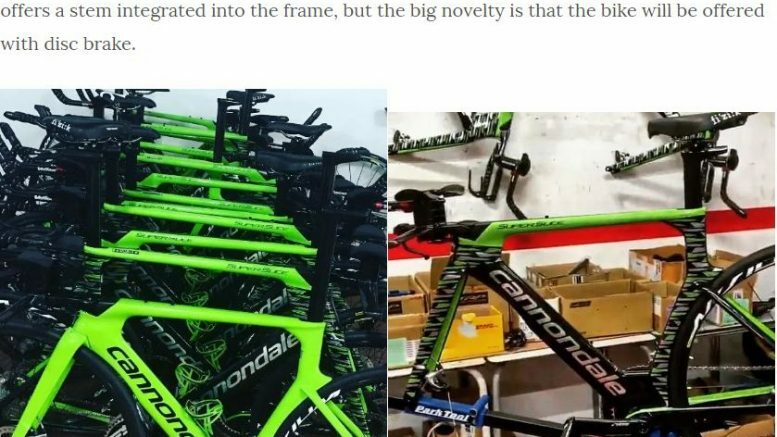 As a lover of Cannondale bikes and an owner of a Slice RS TT bike, I’m intrigued. 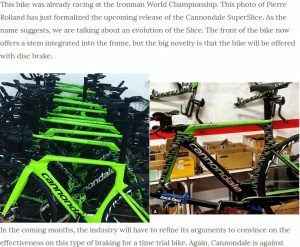 While perusing the list of UCI approved framesets recently I noticed that there’s an unknown Cannondale “Superslice” listed as time trial approved. It seems likely this will be a replacement for the Slice RS in UCI events, pending full approval of disc brakes. Unless the Slice RS fork is compatible (it looks like that’s possible), this can only be offered as a disc brake bike for UCI use as the fork must also be approved. You can find a listing for Superslice on the French Cannondale site, however this adds further mystery as it’s broken! To me, I’m assuming this is a soft launch gone slightly awry. I reckon it wasn’t supposed to be live on the website yet. You can’t click through to look at the details or compare. I’m sure this bike will be popular in the Tri community, apparently it’s debuted at Ironman worlds already. Be the first to comment on "What is the Cannondale Superslice?"